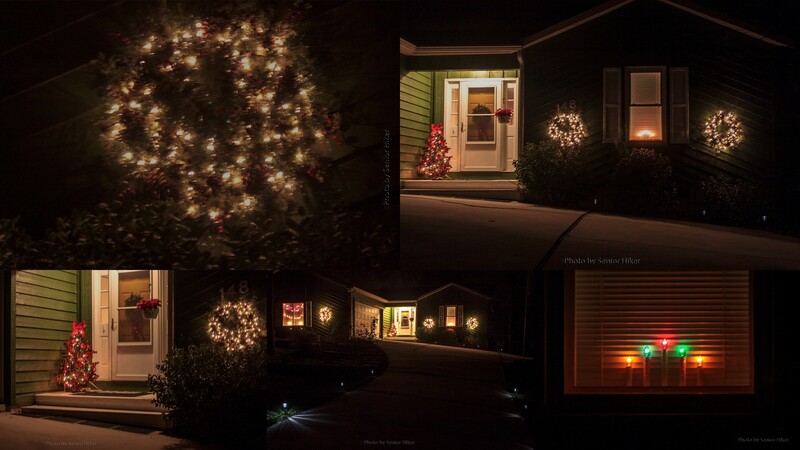 and have decorated the outside of the house with symbols of Christmas cheer. Inside the fire in the fireplace casts a warm glow. 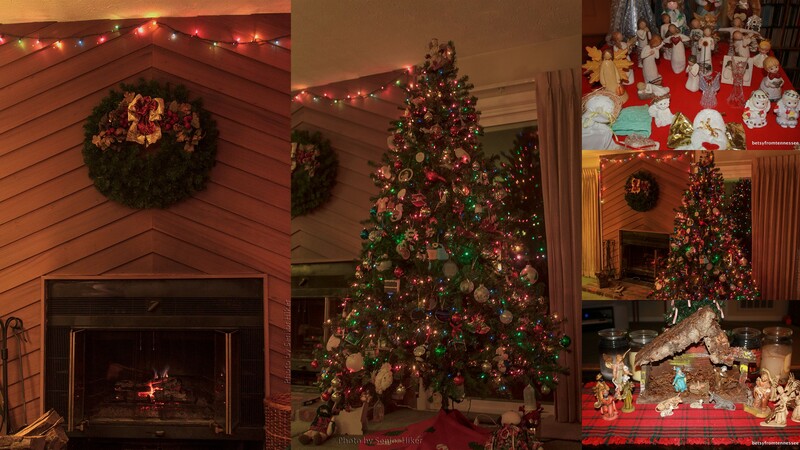 The tree is up with room for presents below. That’s to wish a Merry Christmas to each and every one of you. Autumn color along the shore of Lake Logan State Park, Logan, Ohio. October 17, 2012. Betsy and I went to Ohio in October to visit Hocking Hills State Park with our friends Patti and Neal. But there was another state park nearby — Lake Logan. After a day of hiking at Hocking Hills we stopped by Lake Logan to enjoy the view. 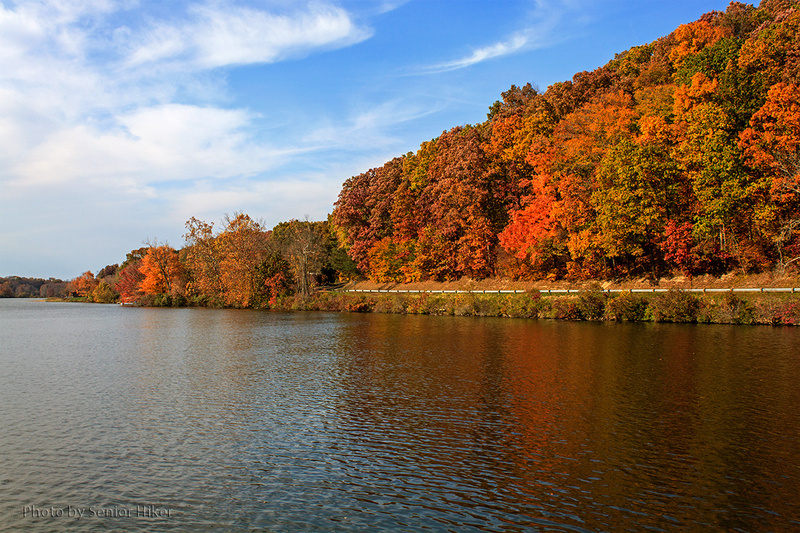 The autumn colors were in full display along the shore of the lake and in the reflections in the water. 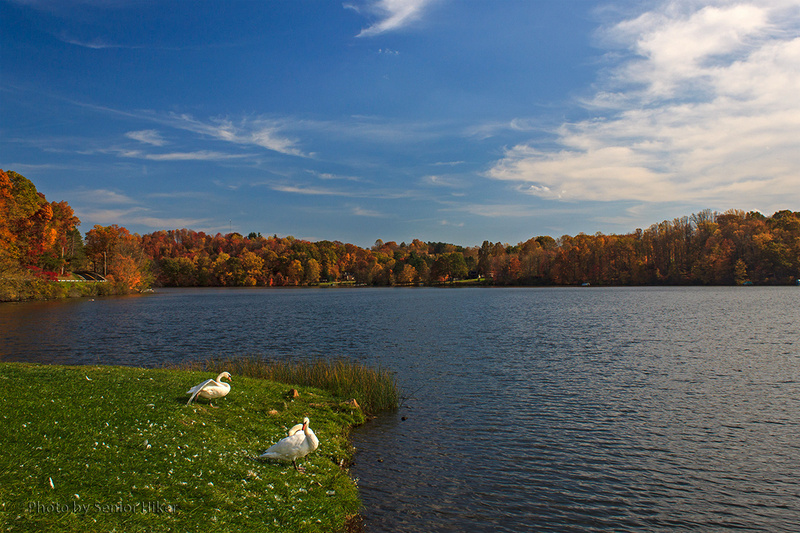 Mute Swans along the shore of Lake Logan, Ohio. October 17, 2012. But we found another treat in visiting Lake Logan. We found some Mute Swans along the shore near a fishing pier where we had stopped to take pictures. Those elegant swans just added to the picturesque scene we were enjoying. The view from Grandfather Mountain, North Carolina. November 8, 2012. Grandfather Mountain in North Carolina is the highest peak in the Blue Ridge Mountain range. It is also the only private park in the world designated by UNESCO as an International Biosphere Reserve. Grandfather Mountain received this designation because of the sixteen different habitat communities that can be found on the mountain. The vegetation on some parts of the mountain has more in common with northern Canada than North Carolina. We visited Grandfather Mountain on a beautiful but cold and windy day in November. The picture above shows the view from the first overlook on the road leading to the summit and the Mile High Swinging Bridge. Looking toward the Smoky Mountains from the Foothills Parkway near Townsend, Tennessee. October 23, 2012. Some people come to East Tennessee to enjoy the glorious autumn colors. Other come to see our majestic mountains. When both are present under a beautiful Tennessee sky, there’s not a better place to be. 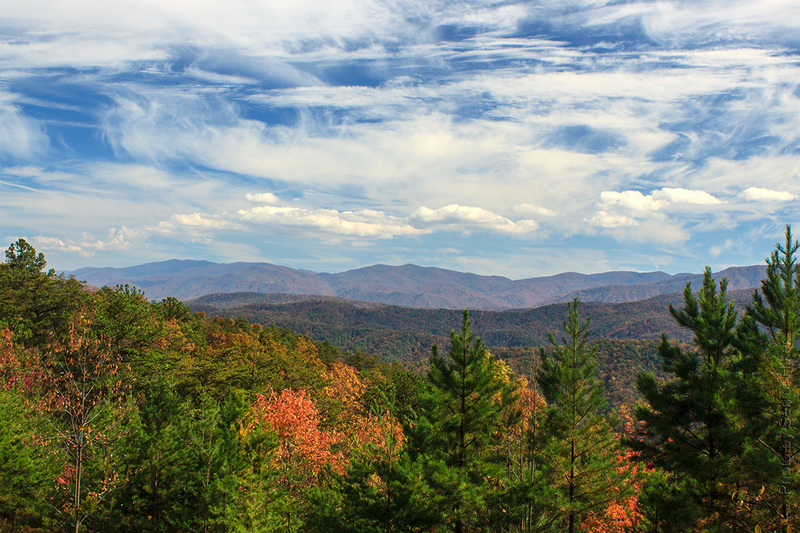 This picture was taken on the Foothills Parkway looking toward the Smoky Mountains in October of this year. Full Moon over Fairfield Glade, Tennessee. November 28, 2012. 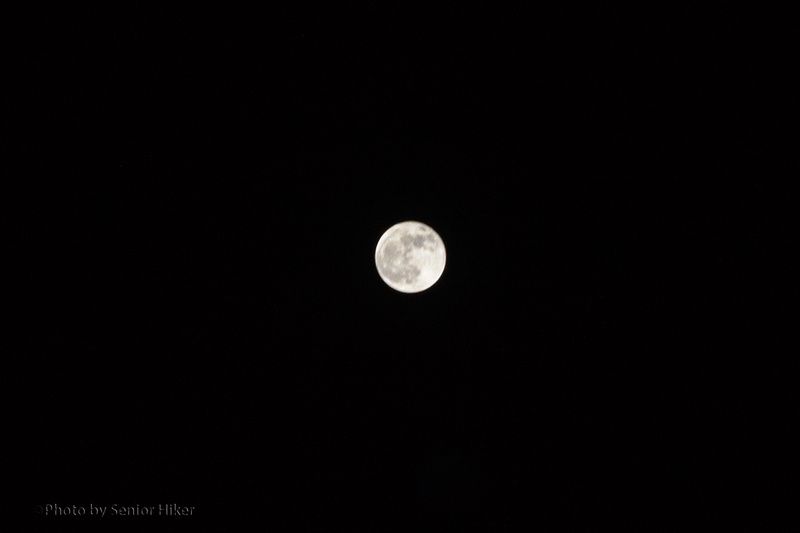 Did you see last week’s full moon? It turns out that it was really a Micro Moon. On November 28, 2012 the smallest Full Moon of 2012 reached its full phase only about 4 hours before its apogee, the most distant point from Earth in the Moon’s elliptical orbit. We’ll have to wait until January 16, 2014, to see the next Micro Moon. On that date the moon will reach its full phase within about three hours of apogee. Cox Covered Bridge, Vinton County, Ohio. October 18, 2012. Betsy and I enjoy traveling back roads whenever possible. It may take us a little longer to get somewhere, but that’s usually not a problem. Besides, we often come across some very interesting sights. On our way home from our visit to Hocking Hills State Park in Ohio, our GPS took us along two-lane Ohio 93. 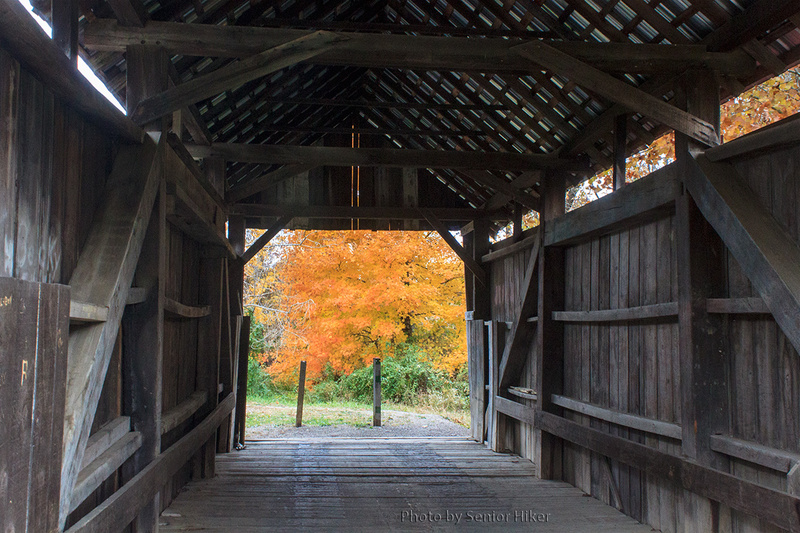 We were enjoying the autumn color when Betsy spotted a covered bridge. Of course we stopped to investigate. 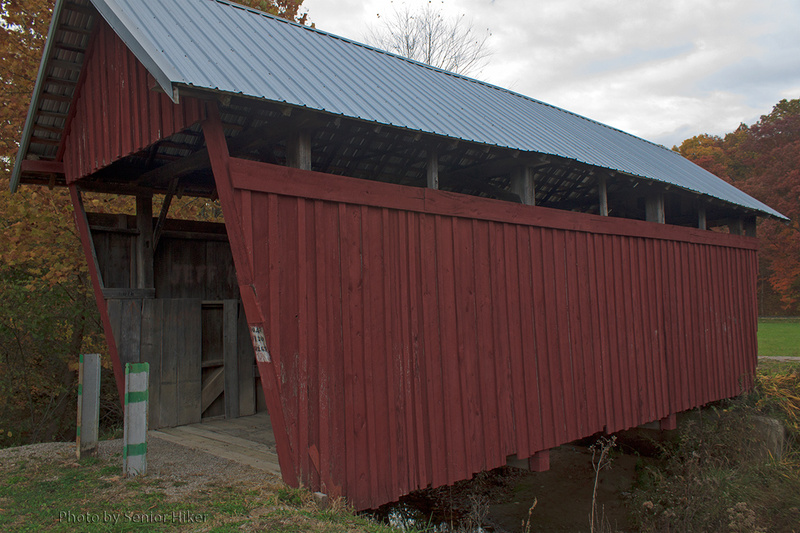 The Cox Covered Bridge was built in 1884, and served as the road bridge over Brushy Creek in Vinton County, Ohio, until 1992. That year the bridge was moved 20 feet north to rest on a concrete foundation. The bridge no longer carries traffic, but it can be walked across. Autumn color as seen looking through the Cox Covered Bridge. October 18, 2012. We got a great view of a beautiful orange tree looking through the bridge. 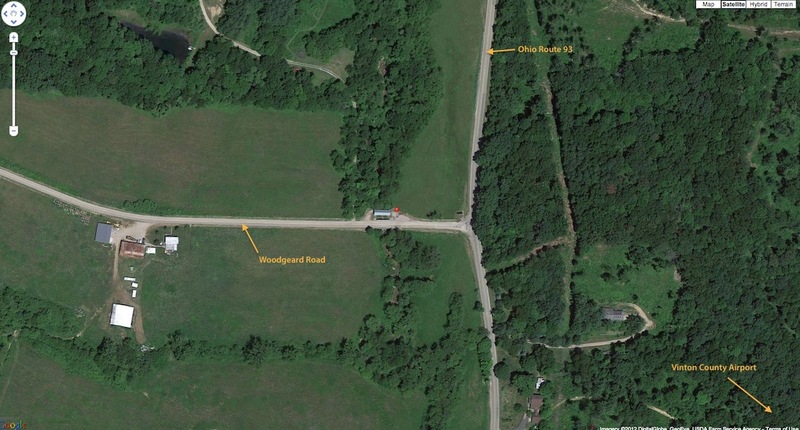 Satellite image of Cox Covered Bridge, Vinton County, Ohio. The above image from Google Earth shows the location of the bridge. There were no nearby towns, but the Vinton County Airport is off to the southeast. The red dot shows our position in front of the bridge.